At SOCIALBOX.BIZ we are committed to continuously measuring our social value performance. To this end we have implemented periodic exercises to achieve this by measuring social return and other positive contribution to society from our social and digital inclusion mission. We participate in various surveys, research papers and University studies. For example SocialBox.biz participated in the new ground breaking research into social impact measurement by 180 Degrees consulting in partnership with Oxford University. 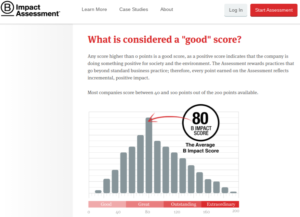 The Oxford University and 180 Degrees consulting study was seeking to (a) improve our understanding of impact measurement across different stakeholder groups and geographies, and (b) develop new, better approaches to measuring social impact. We will shortly publish some of the outcomes of this study in our news&posts section on the website. 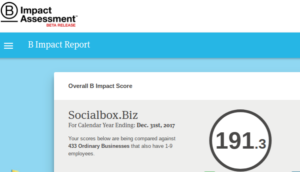 SociaBox.biz have already published a number of best practice summary papers on the latest positive impact initiatives and standards such as ISO 26000 for social responsibility. 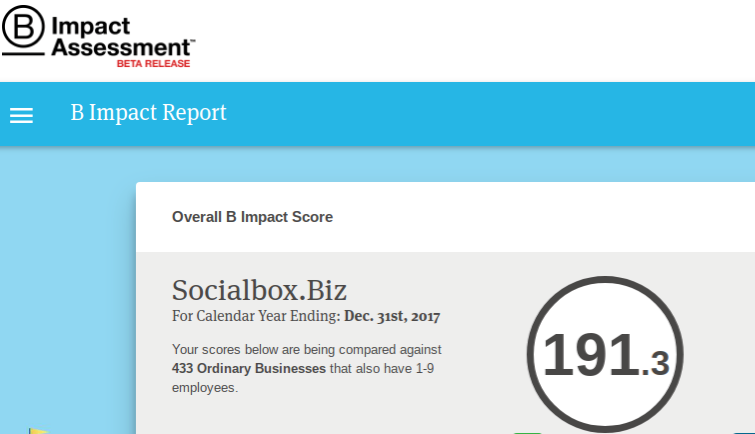 Average numbers are highlighted in black on the left and our scores as a social impact venture are highlighted in white on the right. 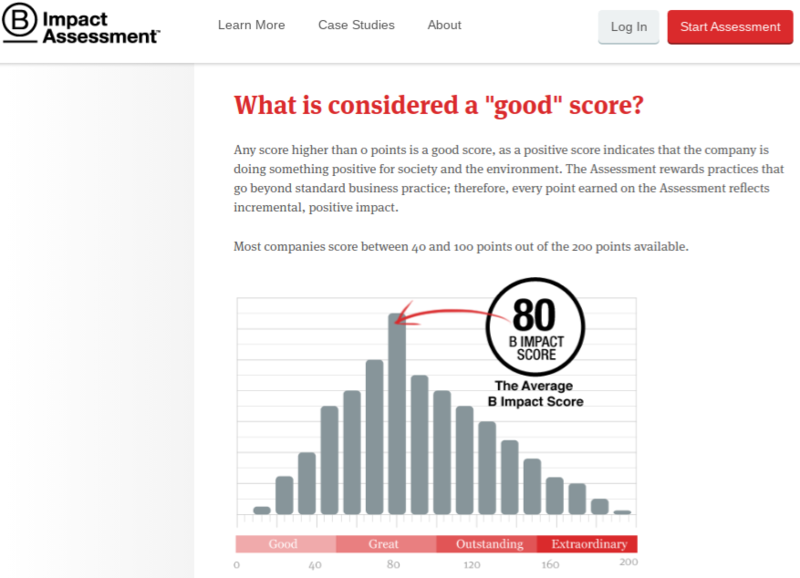 Our social impact score was also through the roof also partially due to social re-investment of majority of profits. Freelance writer and bloger Anesa recently commented in our constant positive impact blog on Word-press that there are various companies in this world that pride themselves on multiple things such as how large the company has become since inception, but not many can say they put advancement of society as first with their practices. 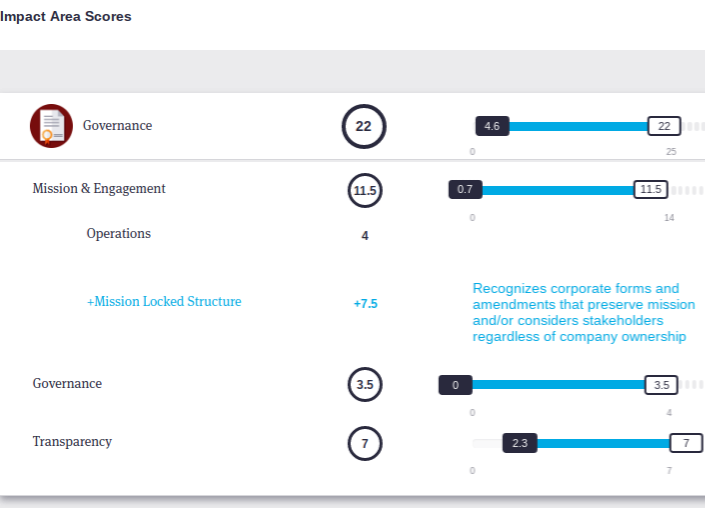 We at Socialbox have put this into our incorporation documents ensuring that majority of the company’s profits are reinvested and used for our social mission activities ensuring the mission is locked and that any investors in our ventures need to comply with this mission. At Socialbox.biz our services to businesses and our culture of being an example will hopefully inspire much larger businesses to take stock of where they are and whether a drive for profits is really and truly the main goal and motivator.